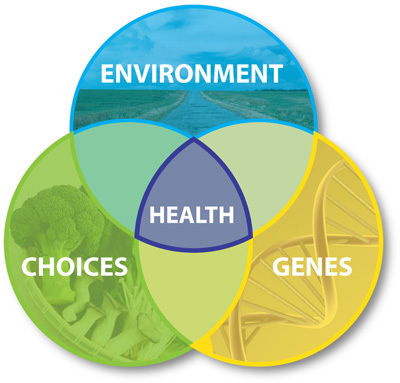 The Center for Ecogenetics and Environmental Health (CEEH) is dedicated to contributing to science-based changes in regulatory policy and public health or medical practice that result in a reduction in the burden of environmentally induced diseases. Discoveries related to the role of particulate matter (PM) in cardiovascular disease lead to changes in diesel exhaust regulations and improved public education about the health effects of residential wood smoke and other sources of PM. The discovery of new methods for assessing the health impacts of engineered nanoscale materials leads to improvements in workplace health and safety regulations, as well as increased public awareness of the need to invest early in health and safety research for emerging technologies. The discovery of specific genetic polymorphisms or biomarkers that indicate increased risk for a certain chronic disease (e.g., Parkinson’s disease or breast cancer) leads to new tests, interventions and treatments that reduce the incidence and/or progression of this disease. After fifteen years of catalyzing groundbreaking research, the CEEH continues to focus on the theme of biochemical and molecular mechanisms that underlie gene-environment interactions. The CEEH is housed at the University of Washington and provides administrative and technical support to 81 scientists who are working to understand the complex connections between genetics, human health, and the environment. The Center is supported by the National Institute of Environmental Health Sciences and is part of the Institute’s EHS Core Center program. Click HERE to download a brochure that provides an overview of the CEEH. Our logo design is based on “Eagle Eye,” an original work by Canadian First Nations Artist Andrew Dexel (En Paa Uk). Concentric circles represent Environment (dark green), Choices (light green), Genes (gold), and Health (orange). The artist has granted us permission to use the image.